All Windmills have ball bearings on the swivel and the blades for longer life. 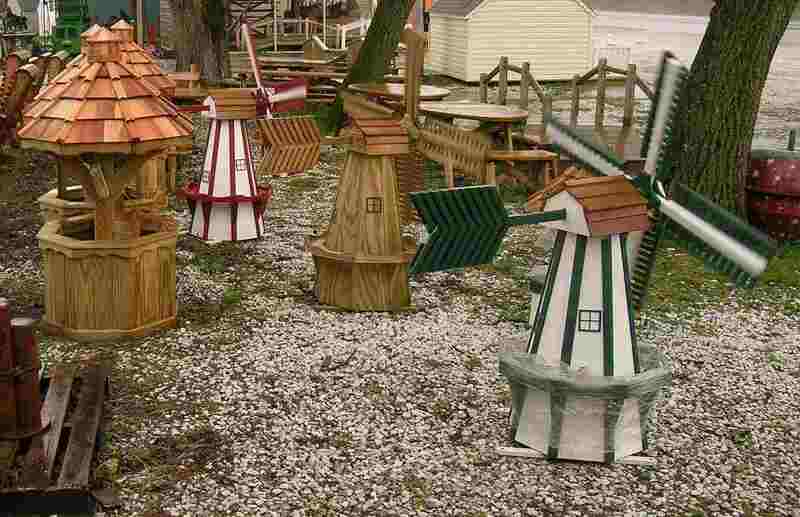 Our Dutch windmills are constructed of pressure treated pine and can provide a unique addition to your yard. In addition to their decorative nature, their hollow construction allows them to serve as a cover over an existing well cap or other object you wish to hide.